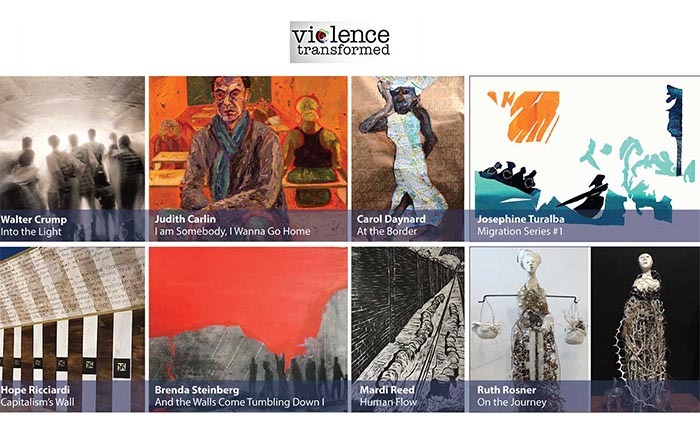 A sample of artwork from the 2019 Violence Transformed exhibit at Cambridge College. The work of participating artists will provoke us to consider the challenges faced by individuals and communities seeking safe and supportive existence. This exhibition underscores the commitment of Cambridge College to promote awareness of the struggles and triumphs of those we serve and to inspire action in support of those in need. Voices from the Field Presentation: "Dialogue to Transform Community and Organizations" - an interactive event presented by students from course BHS 335.